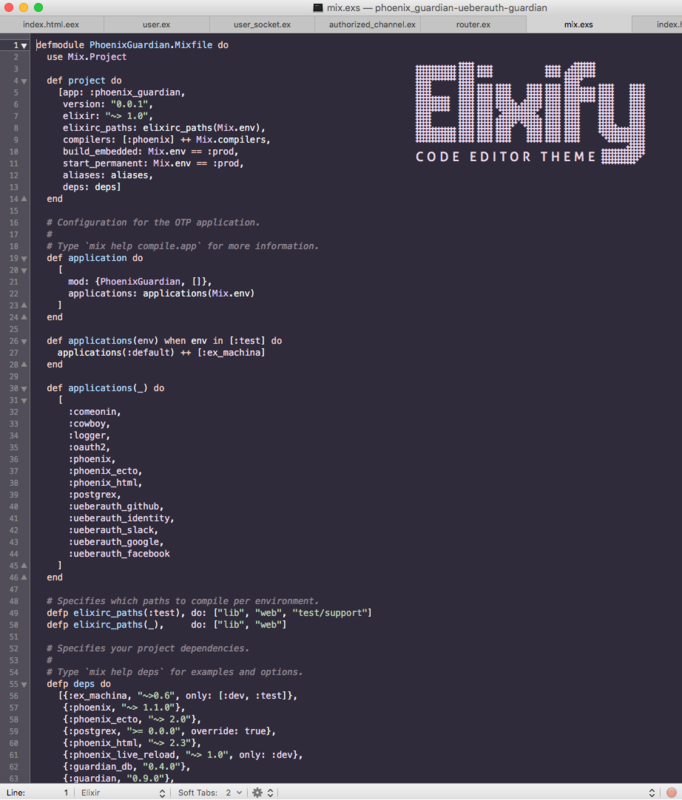 Introducing Elixify - a code editor theme for Elixir! Currently in beta, which basically means some versions are not yet done - if there are no major stoppers I will start working on the Vim and Emacs versions (as they require quite a bit of additional work). The original TextMate version is the most complete (all others derive from it) so if you feel something is missing check to see if it’s in the TextMate version first. Favorite Color Scheme for Elixir code editors? Are you planning on doing a spacemacs version? If not I’ll try and find time at some point to start one. Looks great btw! The Emacs version should work fine with Spacemacs. Spacemacs might be fine and all, but I really wish that they advertised themselves as a starter kit for Emacs. There seem to be some confusion over the fact that Specemacs is just Emacs that has been preconfigured in a certain way. @AstonJ Whats the text editor in the screenshot? Ya, i actually work of the dev branch of it. I got tired of maintaining all that myself and their mix and match mode defaults are sane enough for me to live with. Idk I guess I just grew out of yakshaving my editor. I don’t know if we are speaking about the same here, but my intent was to communicate: Spacemacs = Emacs. Wooh! I just installed in in Spacemacs. I really like the colours you’ve used in this theme. There is one small problem with using it in Spacemacs, and that is that there is no special colour for highlighted text. This makes it impossible to see what text you have selected (for e.g. deletion or searching). I hope this could be resolved in a future version . There is one small problem with using it in Spacemacs, and that is that there is no special colour for highlighted text. Any plans for VS Code? 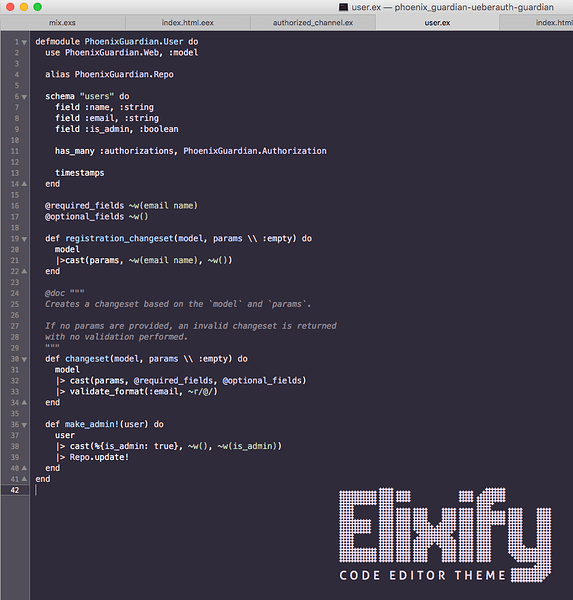 I really like this theme, do you plan to give an iTerm2’s version? 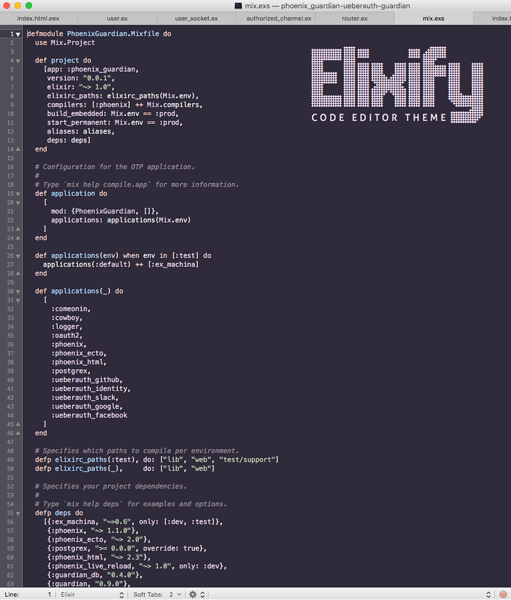 # build an itermcolors scheme file for iTerm2.